It has been many months since I posted an update about my garden activities. Reason being I am much less active with blogging and my backyard vegetable garden has its good and bad times. There were weeks and months that I have abandoned it due to a full time job, where weekends are simply too short with tonnes of other things to do. However, in September last year I decided to submerge the bottom half part of 2 really delicious sweet potatoes to get several slips. Took around 3-4 weeks for the slips to grow to a decent size for transplanting. I then planted the slips into the soil and let it be. Soil needs to be loose and drains well. Will not work in clay soil. 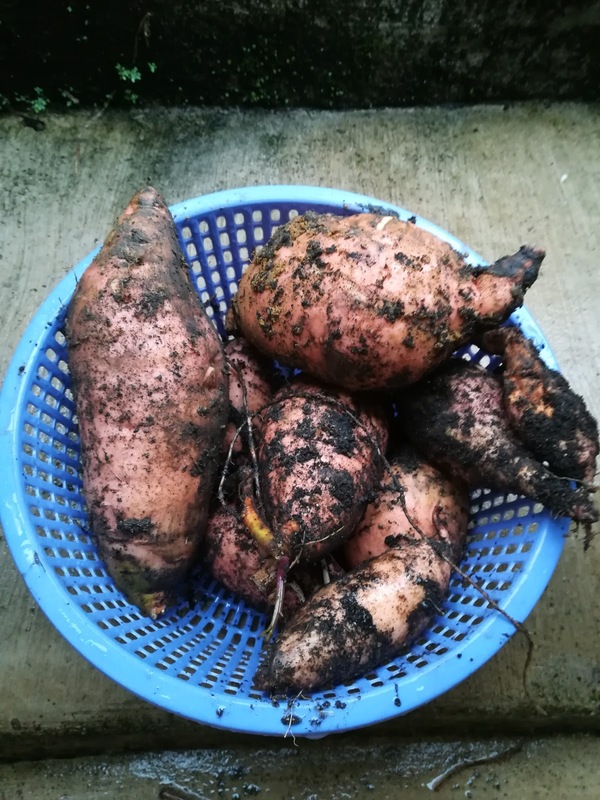 This was my 2nd attempt at growing sweet potatoes. The first attempt 2-3 years ago yielded just a few very small tubers so I wasn't really expecting much at all from this 2nd attempt. I decided to try again as this time the sweet potato variety is tiny, cute and really sweet with smooth non-fibrous texture. I planted the slips in around October last year. I watered it regularly and scattered kitchen waste (fruit and vegetable peel) as often as I could. And the vines grew and grew with lush delicious leaves which I sometimes picked and stir fried them. After about 7-8 months, most of the vines started to wilt and brown so I figured okay its time to dig and see what lay beneath. 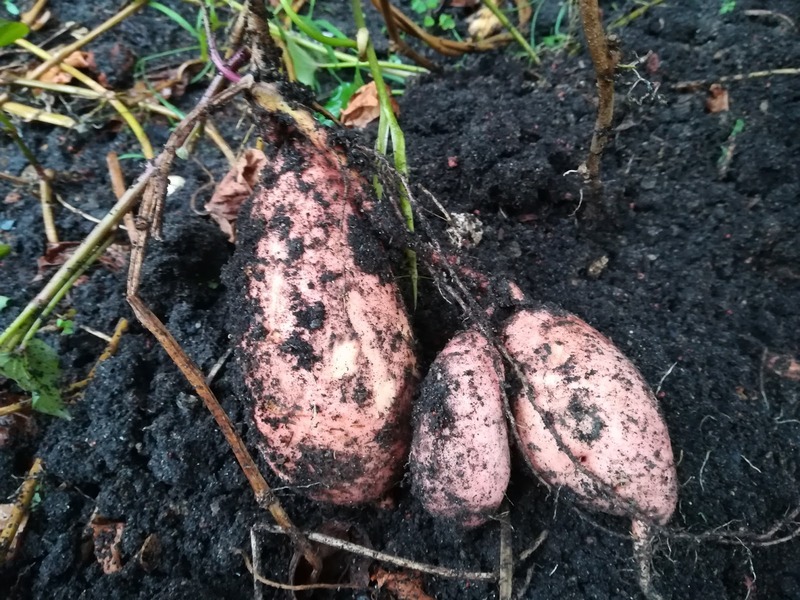 I was expecting only a couple of tiny and cute tubers, just like the parents. To my utter surprise and delight, I got several large tubers! Ohhh what a joy!!! I didn't know how they got so big! Although the taste was not as sweet as their tiny parents, but still not too bad and the texture was equally non-fibrous. 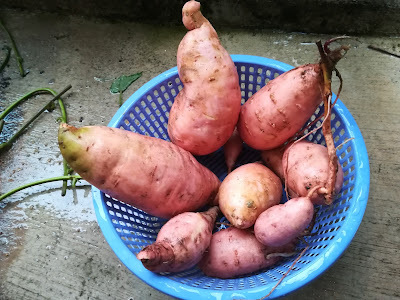 Next variety I plan to grow is the Japanese sweet potatoes! Can't wait! But my backyard is just a tiny plot and there are so many other plants I wish I could grow all at one. Oh well, several at a time I guess. Still absolutely thrilled! 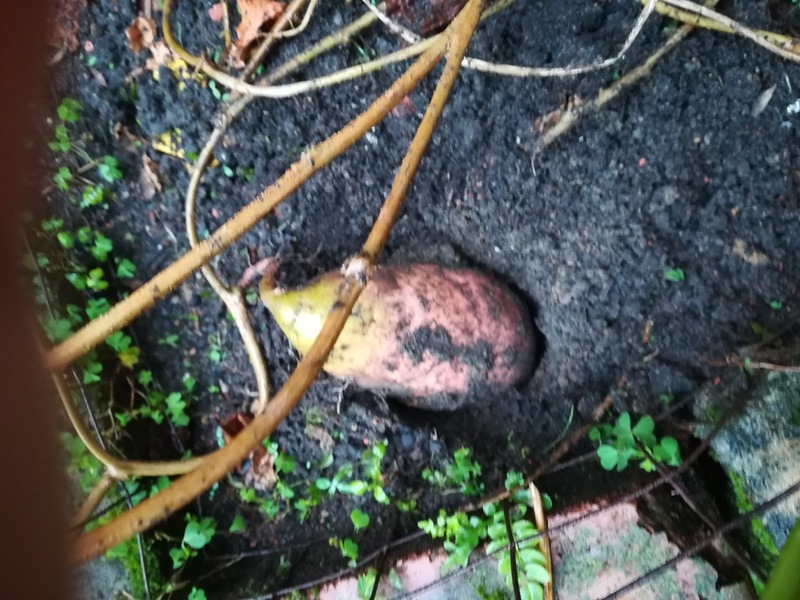 Below are the said sweet potatoes dug out 3 weeks ago. A follow up on my earlier post below. This is how peeled, and the inside of, terung asam looks like. Hundreds of tiny seeds inside. 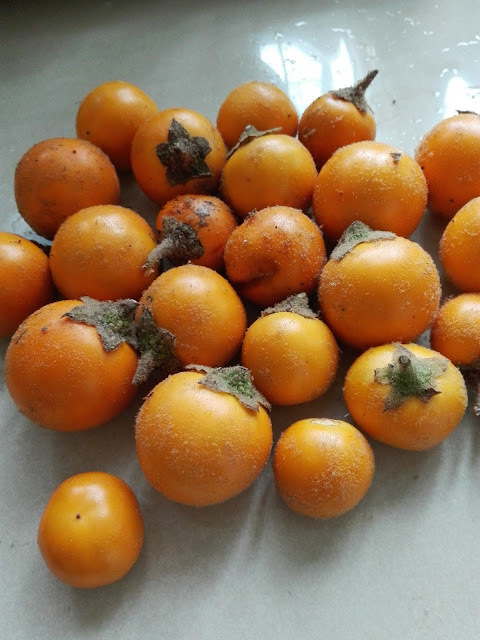 These bright cheerful yellow balls are known as "terung asam" (literally means sour brinjal) here in Malaysia. The plant and leaves are all laden with very sharp thorns and one needs to be EXTREMELY careful when harvesting the fruits or the thorns will definitely hurt you. Ample space is needed to grow it as the branches can spread out rather widely. 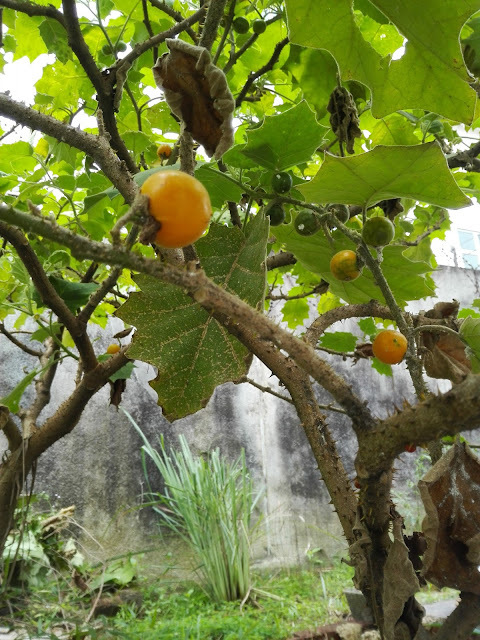 I was curious to know if this fruit is also popular in other countries and what is it called in English. So I Google-imaged "thorny plant with small yellow fruits" and found some photos of plants that look strikingly similar to terung asam. 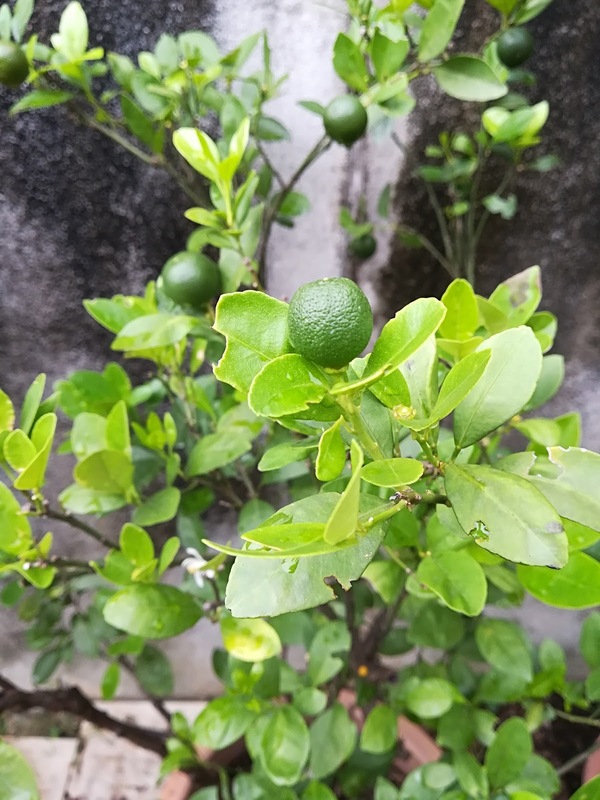 I clicked on one of the images and read the article, and found out that the name of this fruit in the photo as tropical soda apple. Interesting! But reading further and to my utter shock, the article says that the tropical soda apple is highly toxic. The toxicity level apparently increases as the fruit ripens more. 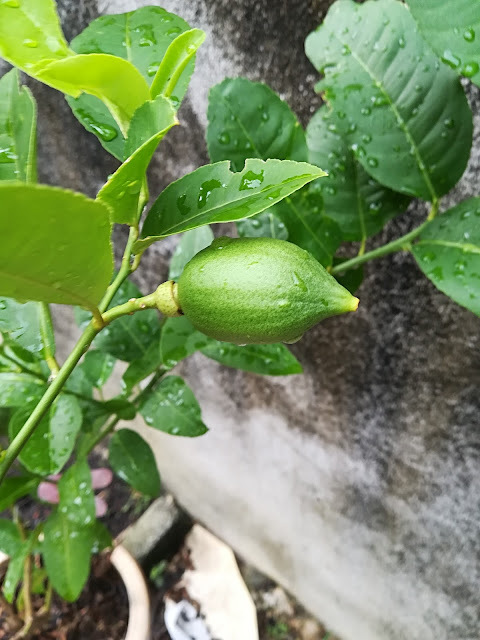 The plant bears all the same description of a terung asam plant but it said nothing about a key feature of this fruit that I have eaten on so many occasions, which is it is covered by a layer of very fine 'fury particles' (don't know how else to describe it). 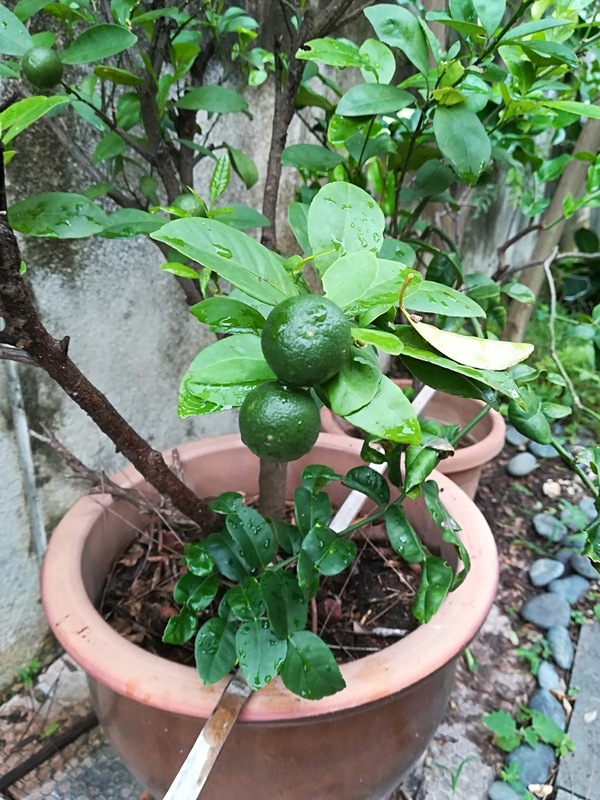 This, I am left wondering now if terung asam and tropical soda apple are indeed the same, or perhaps in the same plant family but different cultivar where one is edible and the other is not? Because terung asam is perfectly edible in this part of the world and although not commercially available in supermarkets or widely popular/known to many people, they have been eaten by those who know about it (like my family) for decades. 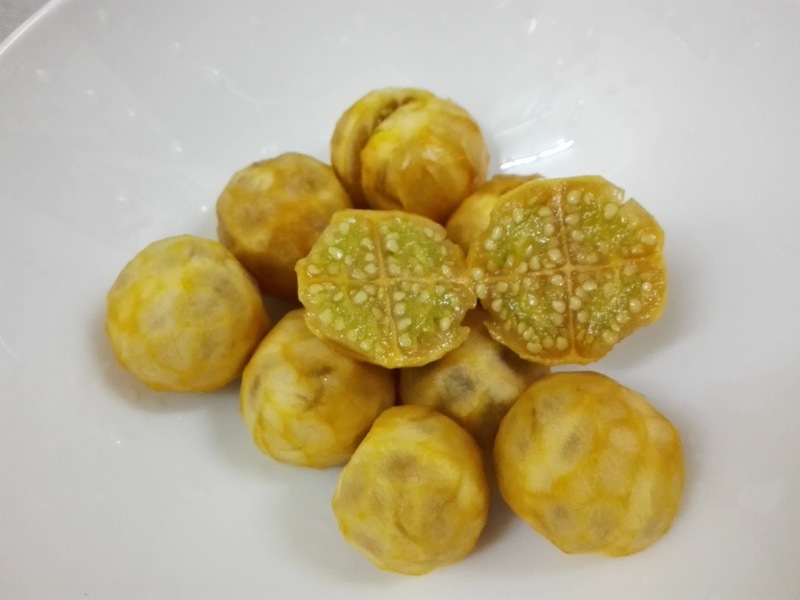 In Sarawak, a state in East Malaysia and on the Island of Borneo, terung asam is very popular and often used as an ingredient in local dishes. 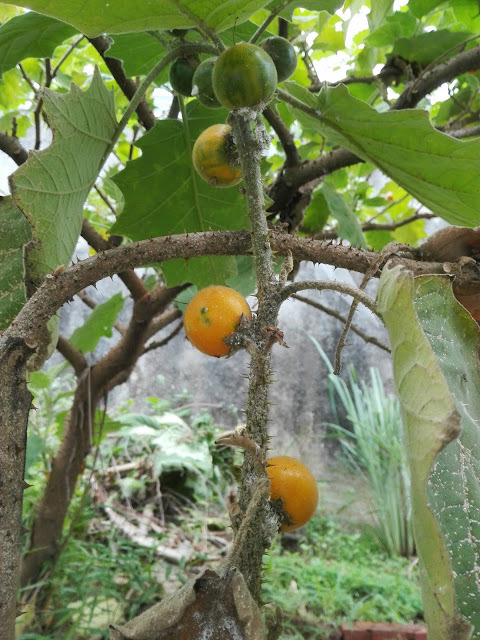 In fact, this fruit is regarded as a prized ingredient whenever we can get a hold of some when they are in season and sold at the morning market by local village farmers. But I have not seen it before in anywhere here in big city Kuala Lumpur. My family uses terung asam mainly in two ways (must peel off the skin first) - hand-pound a few with "sambal belacan" (spicy prawn paste) in a mortar and pestle and serve up as a condiment to perk up one's appetite, or cook them in my family's Nyonya recipe of "gerang asam ikan" (fish in spicy sour gravy). When we know this dish is to be served at dinner, we'll be sure to cook extra amount of rice! 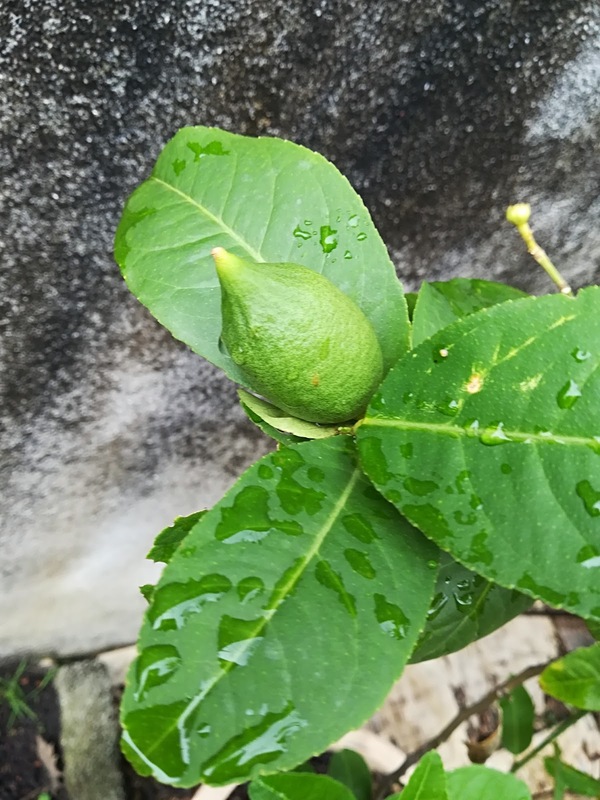 If anyone has eaten this fruit before, please share what you know about it and how do you cook it. For now, I have ample supply from the plants in my backyard. They grow so easily and the seeds stay viable in the soil for months or years. 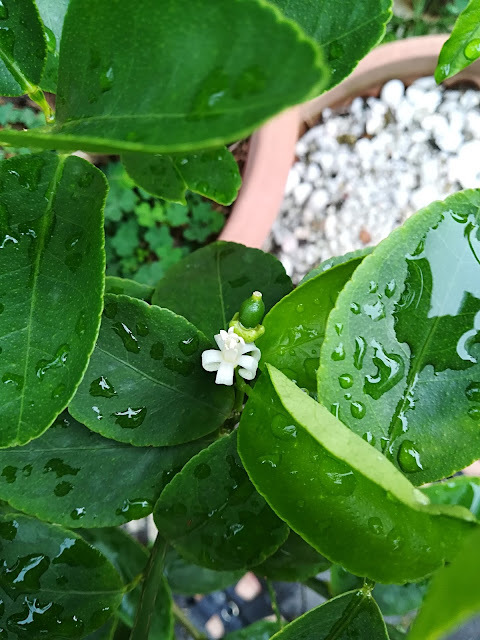 When they finally get a chance to rise to the surface after some heavy rain and be exposed to sunlight, a plant will just suddenly grow, literally out of nowhere! The thorny plants in my backyard. These are the prolific harvest (at different times) from a single and thriving roselle plant of mine. The other 3 plants which I planted around the same time are not producing even quarter as many roselles as this thriving plant did. The pictures of the harvest below comprised about 75% of the total amount of roselles from this single plant. 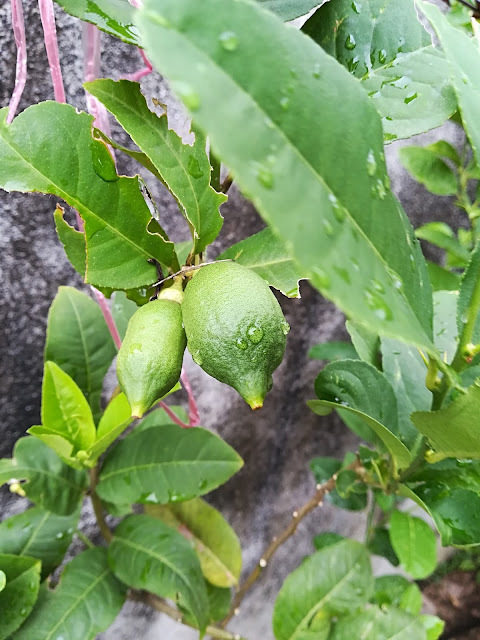 For this cultivar (there is one other cultivar which is dark maroon and is more fleshy and with curvy long tip petals), please wear a glove when harvesting as there are tiny fury thorns at the base which can get under your skin and annoy you. I was too lazy to make these into jam, which could yield me a few small glass jars, so I basically used all of these for juice. I'm so glad that everyone in my family of 20 plus people got to enjoy my roselles. To make roselle juice, peel the petals or calyx. These are what we're going to use. Below are the seed pods after peeling off the petals. To collect seeds, choose brownish pods and leave them to dry completely. When fully dried, the pods will easily pop open, giving you many roselle seeds to plant. Last but not least, to make roselle juice, use a handful of the petals/calyx and boil them in a pot of water for 10-15 minutes. Estimate is one cup of petals to 3-4 cups of water. Add white or brown sugar at your desired amount. Without sugar, it is sour. With sugar it should be sweet sour, just like any berry drink. So do not add too much sugar. Let it cool down and refrigerate. Serve with ice cubes. The soft petals are nice to be eaten. Roselle juice is known to be high in Vitamin C, really delicious and is a great thirst quencher! This one particular roselle plant of mine has grown too heavy and the stake couldn't support it anymore. I had to fill a bucket of heavy clay soil to hold it up. It has also grown very large, tall and bushy, leaning towards my passion fruit trellis and blocking the narrow walkway. This view below is from the other side of the blocked walkway. The lush green leaves in the black old water tank are sweet potato plants. Hopefully lots of tubers are growing inside. With so much rain pounding the earth lately, the soil got too damp and soft and the whole plant toppled over. Harvested lots of rosellas and will post them up next day. Have a great gardening week! Cheers! Roselle or rosella has been making a rousing come back lately. It was a popular household plant in the 70s and 80s. I remember during my childhood days, there was a house near to the seaside which has a couple of roselle plants growing in its garden. Each time I tagged along my Mom to her friend's place, we had to walk pass this house and we would stop for a few seconds to admire the many dark red buds on the stem. My Mom told me it was ribena. Apparently, it is, till today, conveniently referred to as ribena. However, roselle and the store bought ribena syrup are two different things although similar in taste. Roselle is in actual fact, a wild hibiscus cultivar. It is easy to grow from seeds. I currently have 4 plants all grown from seeds. 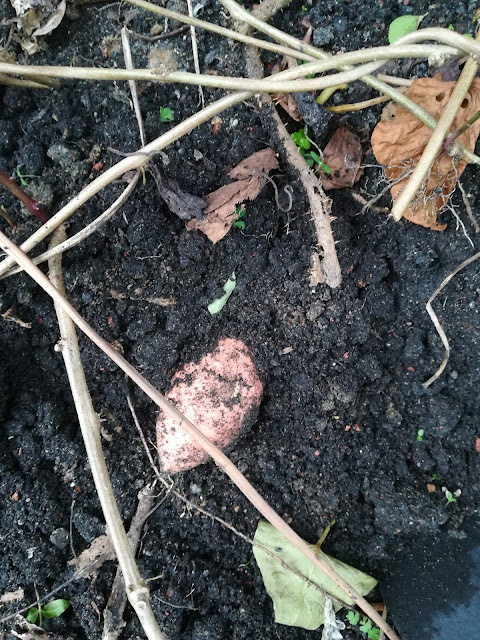 The first germinated seed has grown into a really bushy plant and is now producing more than a hundred roselle fruits/buds.The other 3 plants are scrawny but still producing roselle fruits, although lesser in number. The ideal growing condition for roselle is warm and ample of sunlight. Sow a seed and lightly water it once a day. It will germinate within a few days. When the plant was about a foot in height, I fed it with some fertiliser once every 3 weeks. Stop fertilising once it starts to bear fruit buds. Do not over fertilize as roselle can still grow well in not-so-fertile soil. The plant can grow to a height of more than 7 feet tall and send branches out to 3-4 feet wide. 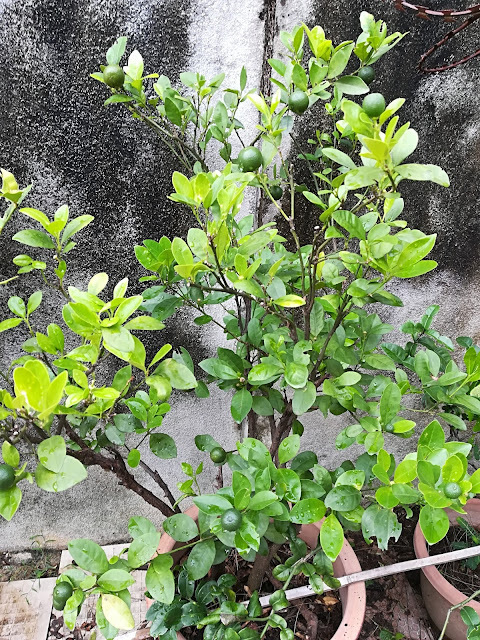 The plant can get rather bushy but do not prune it as fruits will grow all along the stem right to the tip of each branch. 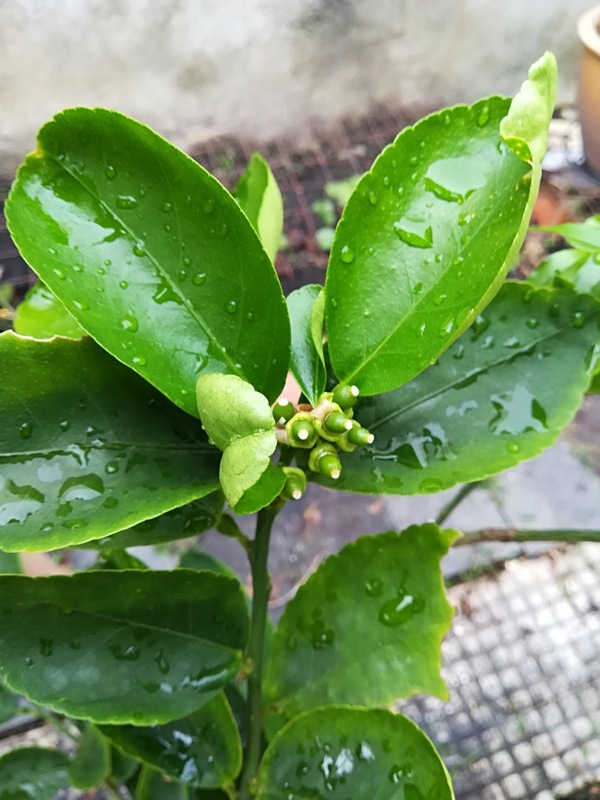 Tiny buds that appear will first bloom into flowers somewhere along its mid-life cycle before forming the fruits. Each fruit is made up of conjoined calyces with pointed tips which enclose inside it, a pod that contains many black seeds when mature. 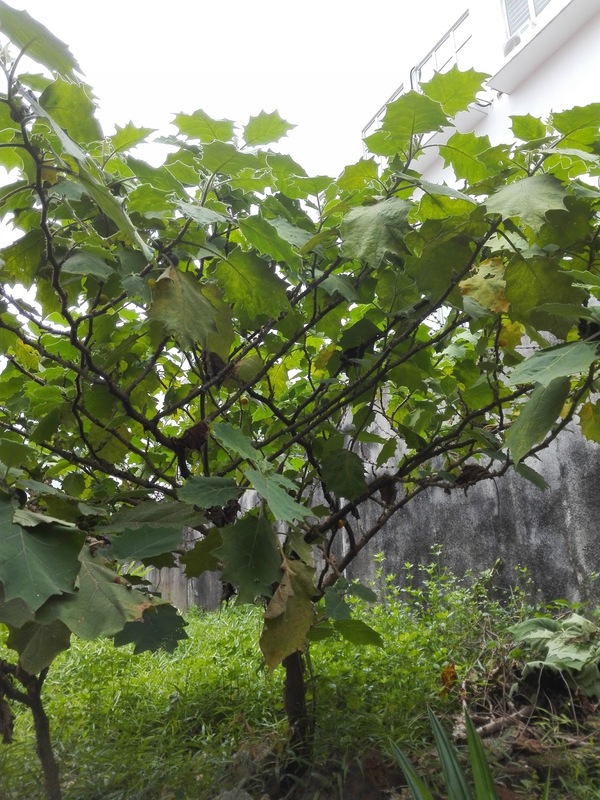 The calyces can be used for making jam and drinks that is rich in vitamin C.
A single large plant can yield many many many roselle fruits, could even be enough to yield a few small bottles of jam. Roselle drink itself is already delicious and is a great thirst quencher on a warm day!